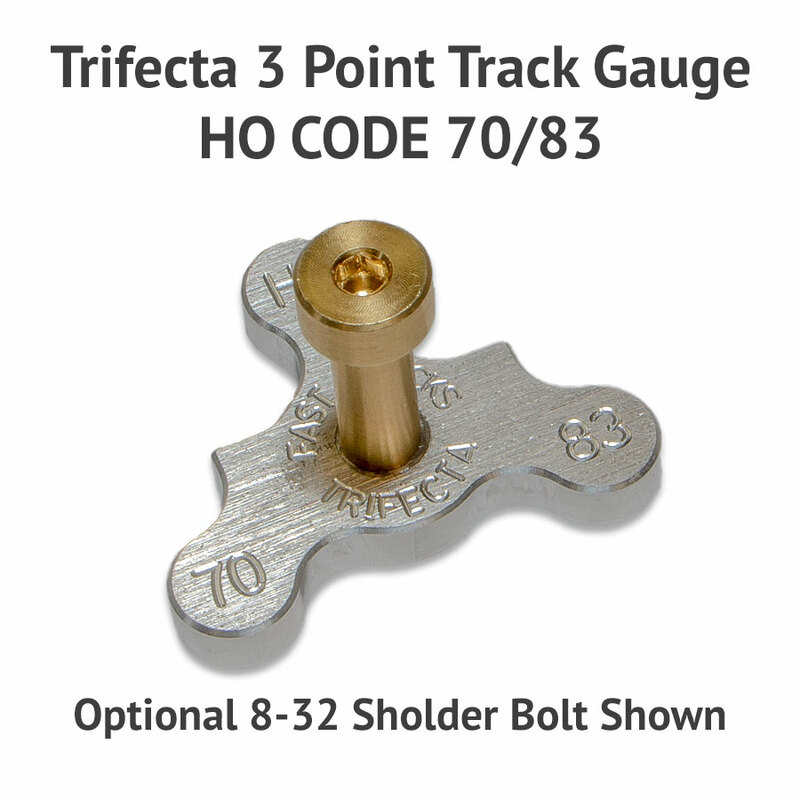 Use our Trifecta three point track gauges when handlaying trackwork for precise gauging. 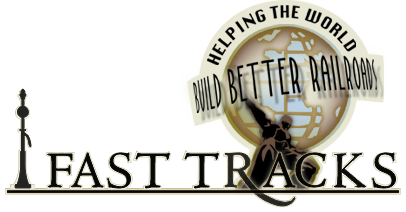 A three point track gauge is the most effective way to hold rail while building any type of trackwork. When used in pairs, they will hold rail perfectly parallel in straight and curved sections. 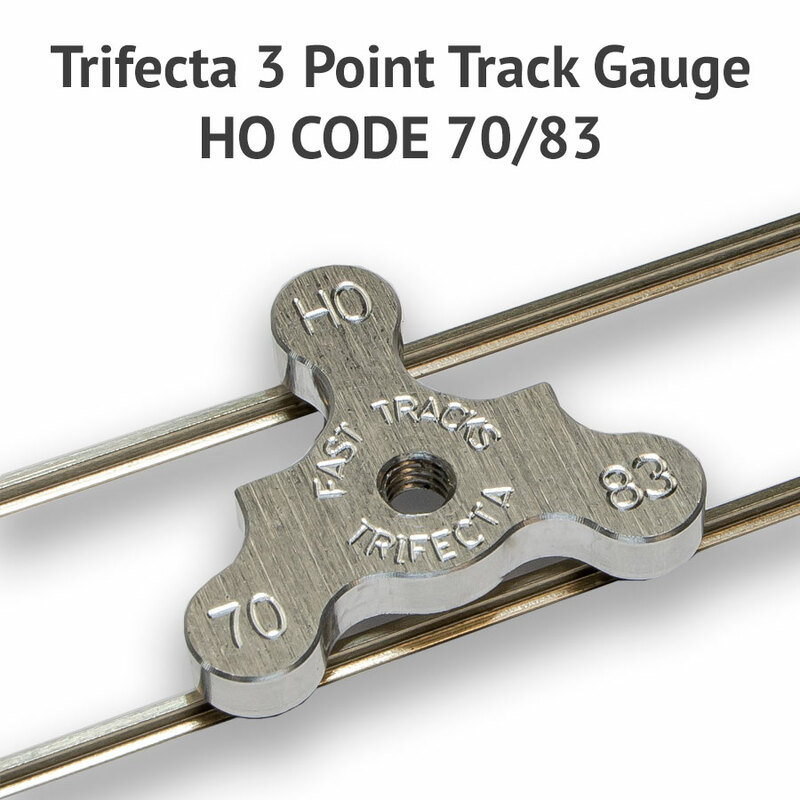 Fast Tracks "Trifecta" three point track gauge is the most precise track gauge available. Billet machined from a solid, single piece of 6061-T6 aluminum ensures perfect gauging. 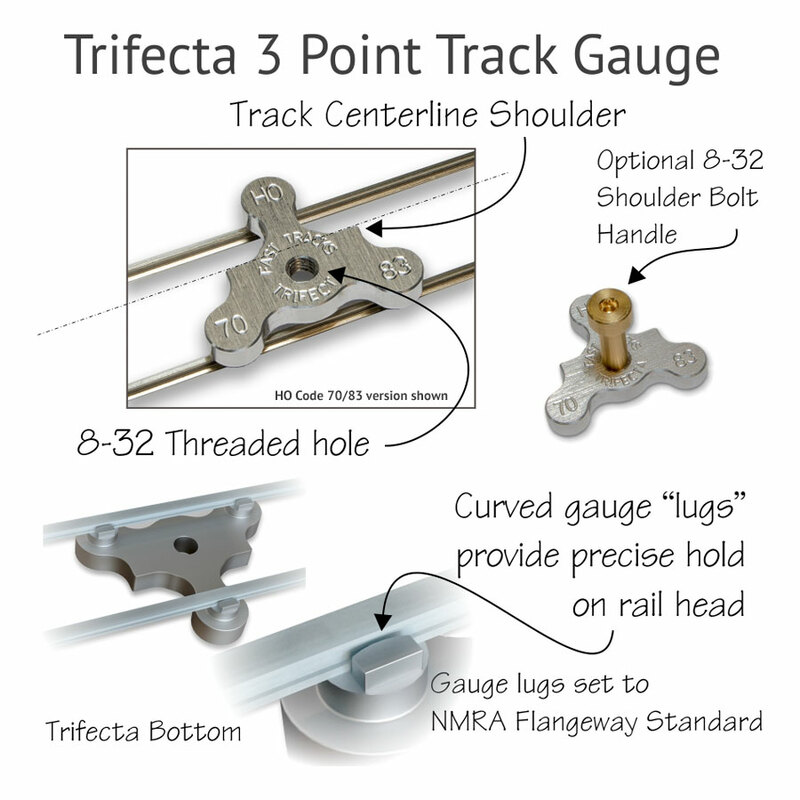 Many years in the making, Fast Tracks Trifecta track gauges fill a large hole in the hobby, a line of gauges for all combinations of rail in all the popular gauges! Trifecta gauges have a flat top surface, this is handy when needing to weigh down the gauge while working with them (PointForm tools make perfect weights!). 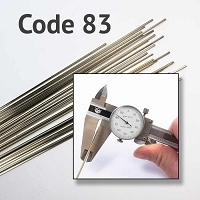 A threaded 8-32 hole is provided for an optional shoulder bolt handle (available separately). Large, easily visible "shoulders" along the track centerline make it easy to center the gauge to the ties while spiking. Precise lugs hold the rail head securely in place. The curved design of the gauge lugs ensure a minimal gauging point and prevent binding on curves. 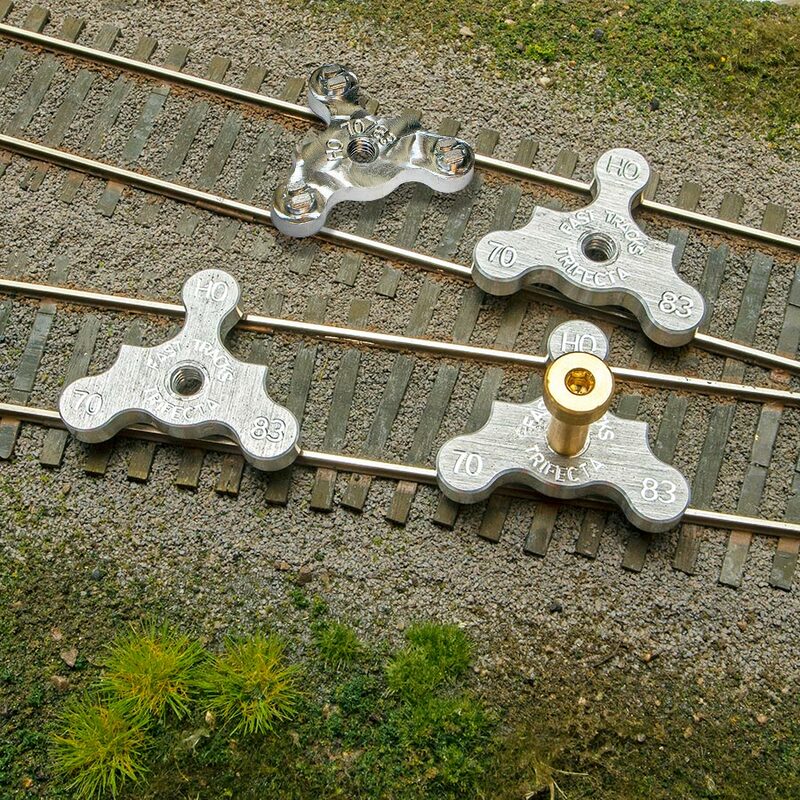 The width of the gauge lugs are set to the NMRA standards for flangeways, so they can be used to gauge guard rails. This HO scale, code 70/83 three point track gauge is set to 0.66" (16.8mm), the same gauge that our HO scale, code 70/83 Assembly Fixtures use. Three point track gauges are the type of tool where you can never seem to have enough on hand! Be sure to order at least 3. The "shoulders" are deeper, sharper and grip the rail much better than any other rail gauge (except Rollee's). They have a distinct center line (a big help) and a flat top (so you can put a weight on top). I've started using these especially on the first rail that I lay (holding both the first and second rail in place). I put several gauges along the length of the two rails and then spike my way down the first rail. Then I come back and spike the second rail (checking the track every fourth or fifth spike with my NMRA gauge. So far there is rarely a need for adjustment. These gauges hold the rail quite well. I'm using with Micro Engineering rail. Nice tight fit, so no wobble in rail while I spike. Checks with NMRA Gauge. Now I'd like to see one manufactured removing the outside pin at the top of the apex (under 'HO'), so it could be slid through switch points. It fits perfectly, cleanly built and is a MUST HAVE tool for checking existing track gauge as well as hand laying track. Makes life so much better and I use many different gauges of them.